Nani’s Buildcon Private Limited is a reputed and trusted 9 years old real estate builders & construction company. In this time period, it has completed 14 housing projects, accommodating over 250 happy families, and three projects are in various stages of completion, making it one of the fastest growing construction companies in Nagpur. Also in this short period, Nani’s Buildcon has established itself as a home builder people trust and want to deal with. Nani’s Buildcon was founded in the year 2006 by Mr Yashwant A Khodke, a first-generation entrepreneur and the company’s Managing Director. A qualified engineer, Mr Khodke has behind him 20 years’ experience in the field of civil engineering, most of it gained in the Middle East and North America. It was his long stint with international companies which revealed to him the two secrets of business success. : Plot no. 2, Central Bazar Road, Opposite PKV Land, Bajaj Nagar Nagpur 440010. Experience Modern Living Combined With the Beauty Of Nature. Presenting Vedant Peridot. 1. Premium homes in the heart of Nagpur. 2. Elegant interiors complemented by modern amenities. 3. 3BHK apartments that ensure you're not just buying a house & you can call home. High-class Living Made Possible With Peridot. 1. Modern, world-class amenities that will make your life easier and better. 2. Located in the heart of the city, Peridot is in a pollution-free zone surrounded by lush greenery. Nani's Buildcon - Nagpur's Leading Builder and Construction Company. A nine-year-old company, Nani's Buildcon has already completed 14 housing projects, with 3 more in various stages of completion. We deliver our promise to our customers - to offer a safe, strong and loving dwelling place while constantly striving to reinvent and innovate. Hi folks! I visited this project named Vedant Platinum by Nanisbuildcon which is in Manish Nagar near Reliance Fresh Nagpur. Nanisbuildcon is a reputed builder in Nagpur and I think it will be safer to book a flat with them. I was planning to buy a 2 BHK flat in Nagpur city and this project is actually meeting all of my requirements. Satisfied with the quality of construction. 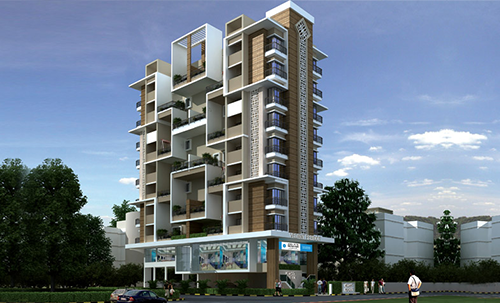 Very good luxury 2 BHK flats located at the heart of Nagpur City. Nanis' people rocks. i got what i dreamed.” Thanks! Following some basic energy conservation ideas reduce the electricity bill as well as global warming. Energy conservation ideas are followed by builders as well as residents. MIHAN is fueling the economic and environmental development of the growth nucleus of India. MIHAN has blessed the real estate sector of Nagpur since the need of it is never ending.